A smart classy wrist watch by Firetrap, this is a high functioning timepiece that will serve you well for every day and occasion wear. This watch is the ideal gift for her. Product Features: * Quartz movement. *white dial. * Silver tone hour, minute and second hand. * 3ATM water resistant. 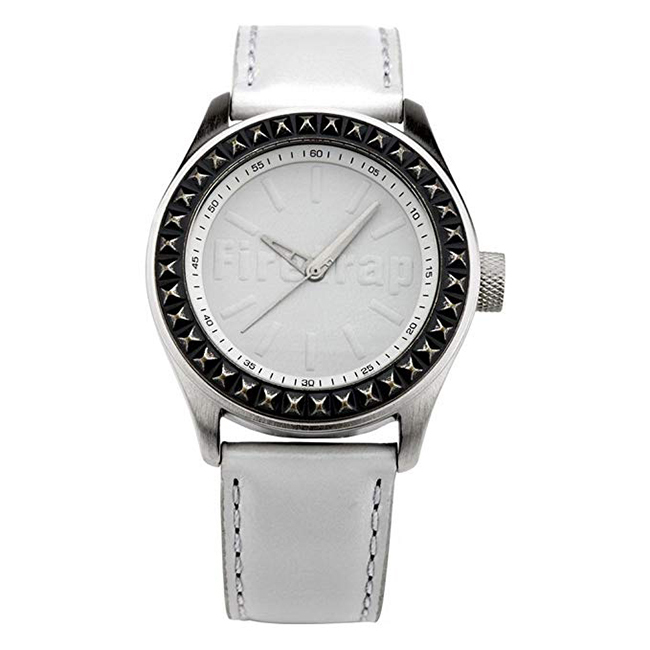 * Genuine wite leather strap. * Stainless steel case back. Strap measurements: This watch has a buckle closure on any of the 8 holes. * Length from one end of the strap to the other: 22.5cm. * Length when fastened on the tightest hole: 15cm. * Length when fastened on the loosest hole: 19.5cm. Also Comes With: * Manufacturers Guarantee.